Start Your Own Car Wash Business Today! If you are looking to build a coin-op or coin car wash, Canadian Car Care serves the do-it-yourself coin car wash industry. Our service area includes the Greater Toronto Area (GTA), Southern Ontario from Ottawa to Windsor, and up into North Bay and Sudbury. 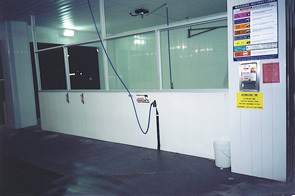 We have built coin car washes from Thunder Bay to New Brunswick and up in Val d'Or Quebec. We specialize in underground car washes in condos and rental buildings. You will find our wash bays and equipment in some of the most prestigious buildings throughout the GTA. We also ship parts anywhere across Canada. Please contact us for more information.